Moving to a new city might seem challenging if you are not prepared well for it. It is very much like travelling. You move out of a city which you have been a part of for years and the challenge is to be comfortable in the new locality you are moving in. If you are a good traveler, you must know the challenges you might face while moving to a new city. 1) Perfect Residence – The very first challenge that you will face before moving to a new city is finding a perfect house for yourself. Many people have different things and dream about their house. But when it comes down to really finding a one in your budget, it is sometimes tiresome and difficult enough. Also, you need to make a grown-up decision of either finding the house on your own or through an agent at a cost of commission. But with the recent technology, you don’t need to necessarily go to a place to see it. You can easily see the houses first online and have an impression about it. 2) Dealing with owners – If you are renting a house in the new city, then you need to have a decent relationship with the house owners. Sometimes you might meet up people with whom you will not get along well. This is one of the most perceived problems and difficulty faced while moving to a new city. Sometimes, the owner of the house might be too much fearful of their houses being kept well. Thus, at times it becomes difficult to handle those types of people while moving out. 3) Transportation - One of the most important things you need to figure out while moving to a new city is the transportation in that area. You might be accustomed to the smooth transportation in your current city which might not be the case in the new place. Thus, looking for transportation is one of the things to remember when you move to a new city. 4) Food - Initial days might be problematical and quite challenging when it comes to food in the new place. You need to set up your house well before you can actually start cooking your own food. Also, eating outside food can cost you a fortune sometimes. Also adjusting to the local taste and cuisine of the new city can be quite challenging at times. 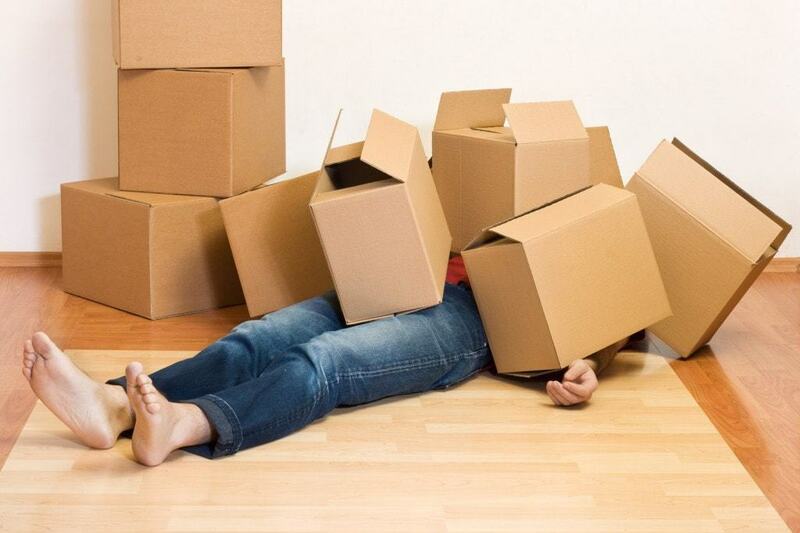 5) Packing/ Unpacking – This is one of the countless common challenges faced by many at the time of relocation. While shifting to a new city, you need to pack your stuff in boxes. It is the time when you truly realize the difference between the necessary and unimportant things you have. And that can be the biggest challenge to separate both. Also, unpacking is a big hurdle too. 6) Domestic Help – While you move to a new city and a new place, you need to look up for domestic help in the kitchen and washing your clothes. It is extremely challenging to find a trustworthy person in the new city for the purpose of domestic work. This is one of the significant headaches you face while moving to a new city. 7) Adjusting to the environment - This is probably the biggest challenge that you will face while moving to a new city. You have to face altogether a set of new faces and mindsets while moving to a new city which means you need to adjust yourself to the locality well. This can be a difficult call sometimes while relocating. 8) Services – You cannot certainly stop doing your daily work or office work after moving to a new city. Finding a good network provider for the purpose of your daily work is one of the biggest challenges you face while moving to a new place. It is very important to subscribe to a good network provider in order to continue doing your work even after your relocation. 9) Request For Address Change - This is the most tricky problem you face while moving to a new city. Once you move to a new city, you obviously get your new residential address which means you need to change your address for your bank and bills record. This can be a tiresome task as you need to gather all the documents, visit the places and submit those. Thus, moving to a new city can be quite challenging if you are not well prepared for it. But with enough tips, research and good care, you can do it with a very little trouble.